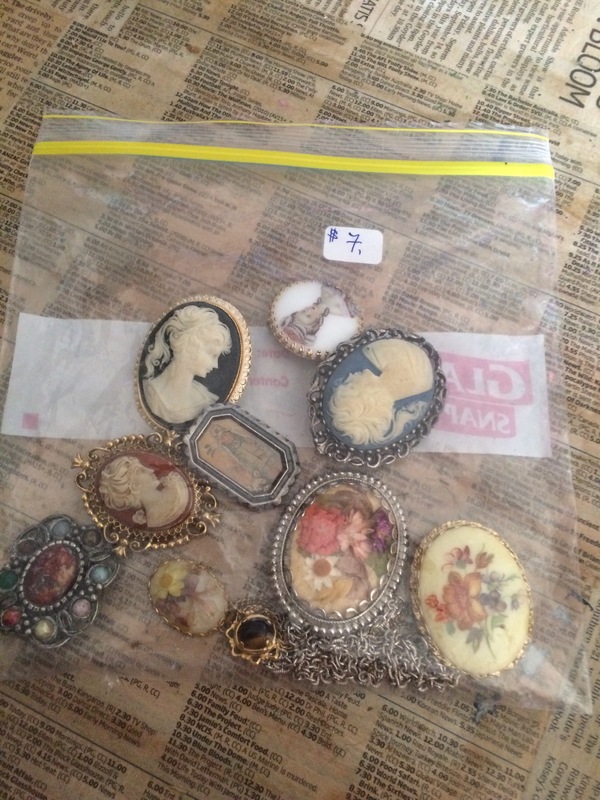 Last time I caught up with my folks, they had been to their local community market and bought a bag of old brooches for me thinking I would create something new with them. They are quite pretty aren’t they? 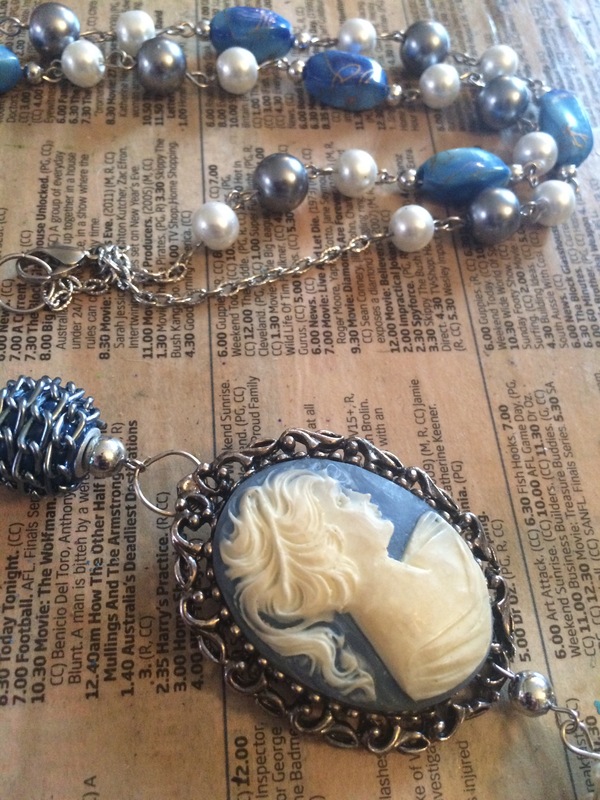 I decided to start with a couple of the cameos, and make some necklaces with beads. 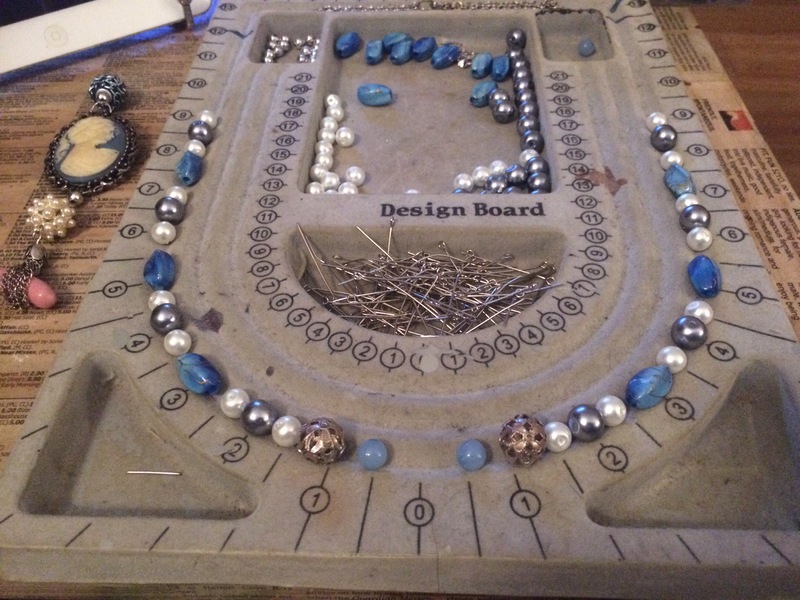 For the blue one I chose a selection of pearl and blue beads, and connected them with some eye pins. 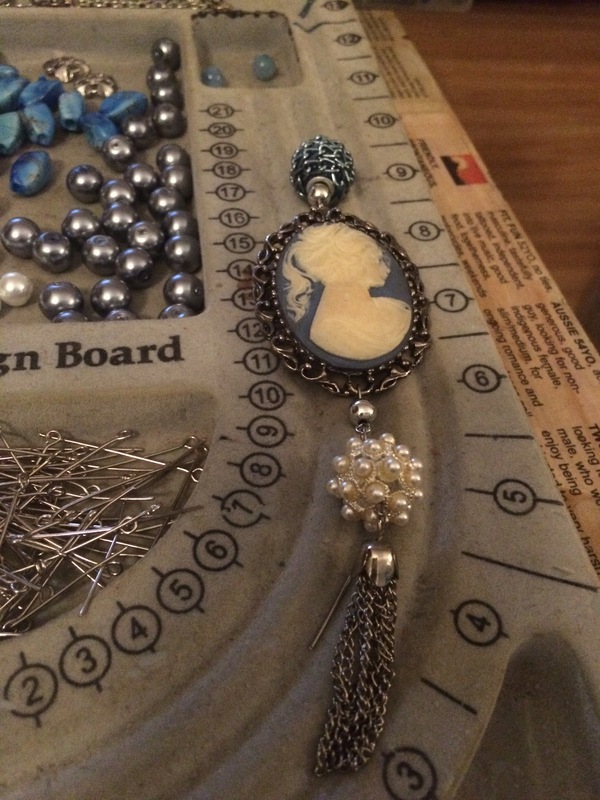 Then I added some beads and a tassel to the cameo. 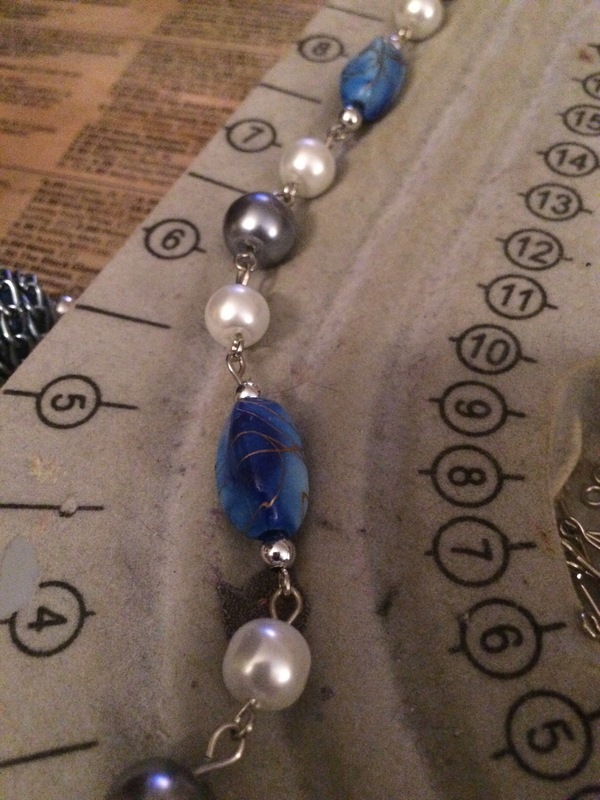 Connected to the beads with a jump ring, and the necklace was done! 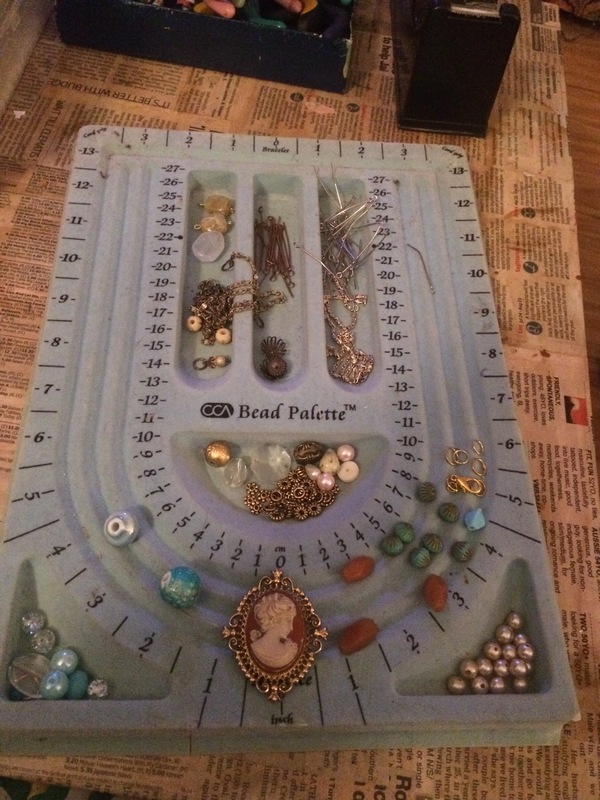 For the orangey cameo I wanted a more random asymmetrical style, so I just collected a bunch of pretty beads, and again connected them with eye pins. 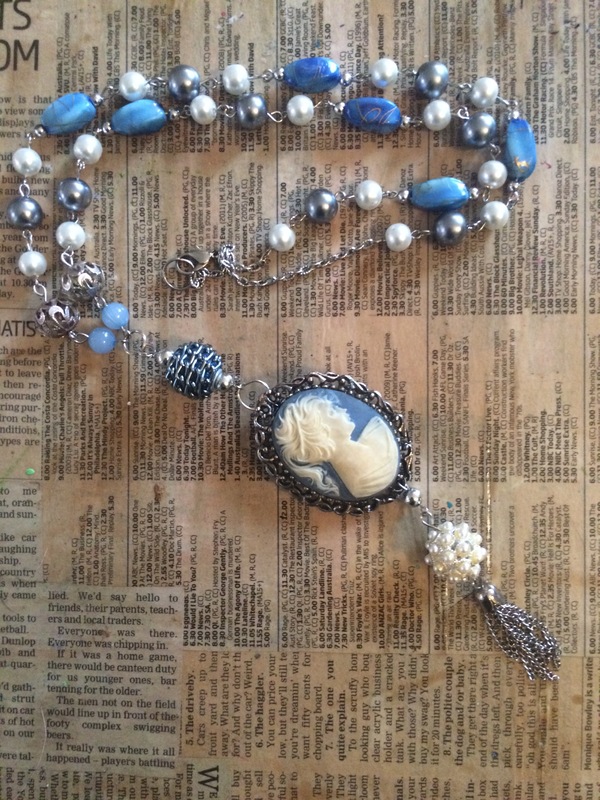 I used some chain from a broken necklace and hung the cameo at the base. 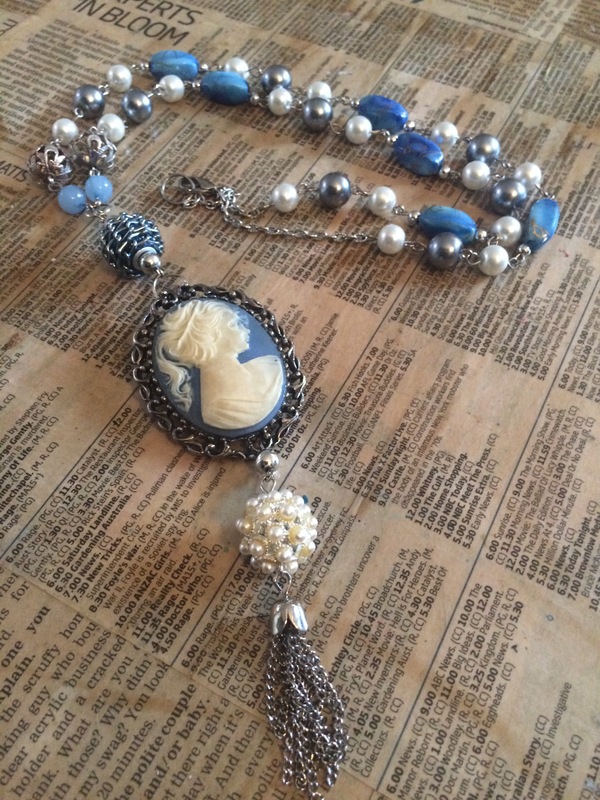 This entry was posted in Craft Projects, Jewellery, Jewellery DIY, Op Shopping, Upcycled Projects, Upcycling and tagged assemblage, brooch, brooches, cameo, craft, creating, diy, jewellery, jewelry, necklace, op shop, pendant, recycle, thrift, thrifting, upcycle, upcycling. Bookmark the permalink. The blue and orange one goes with so many different colours. Awesome fun! 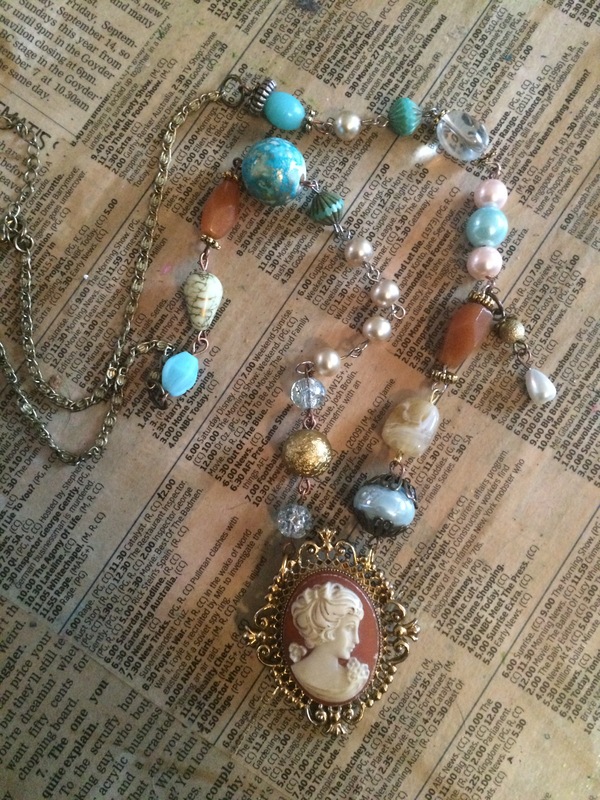 Great finds and beautiful necklaces! I adore cameos and brooches like these but they are hard to find these days. Thanks! 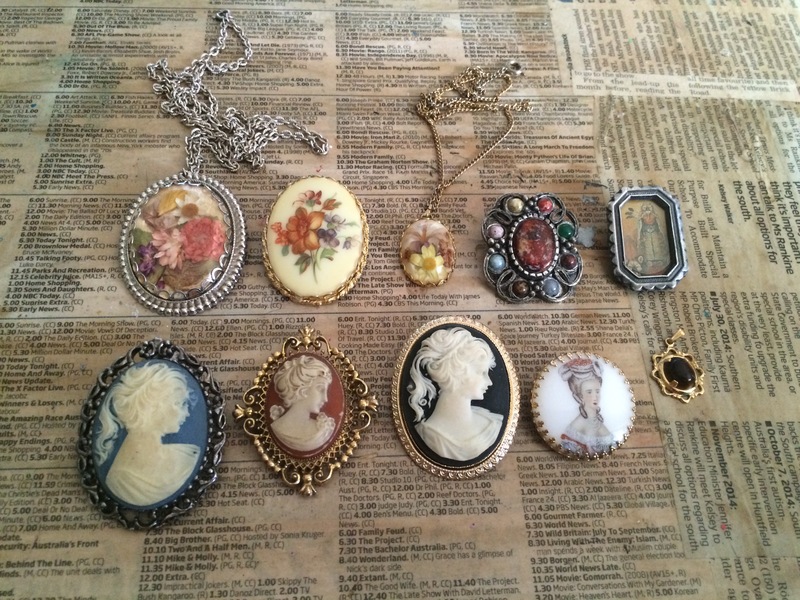 Brooches are definitely getting harder to find, but you come across them from time to time if you keep hunting..